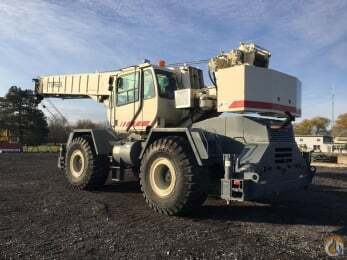 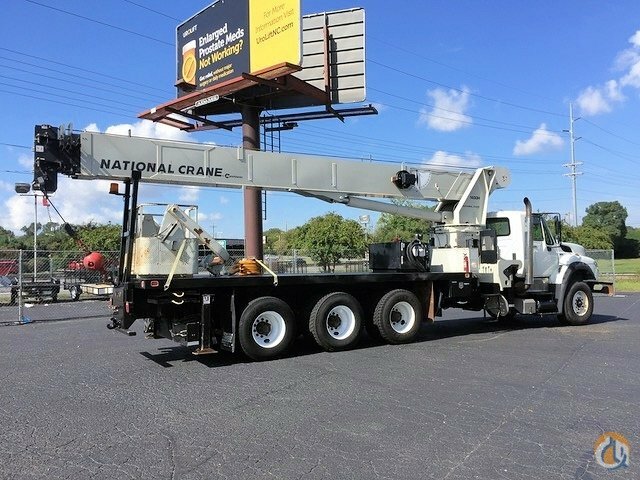 2012 National 14127H, 33 ton hydraulic crane equipped with: 31 ft.-127 ft. 5 section full-power boom, 30 ft. side-stow jib, SFO front bumper stabilizer, out & down crossframe front outriggers-24 ft. 6 in. 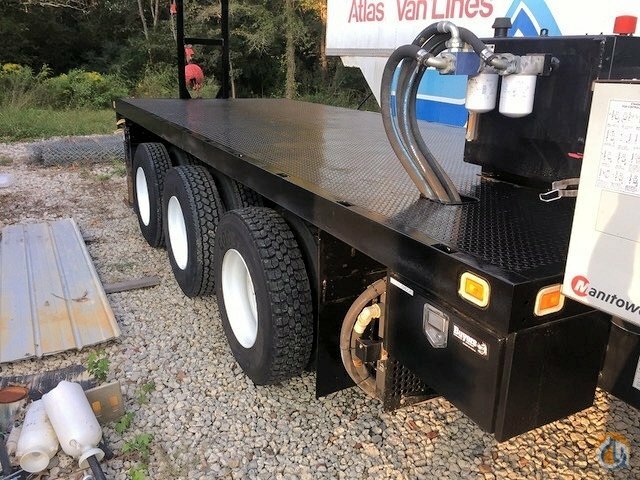 span, RSOD out & down rear outriggers-18 ft. 6 in. 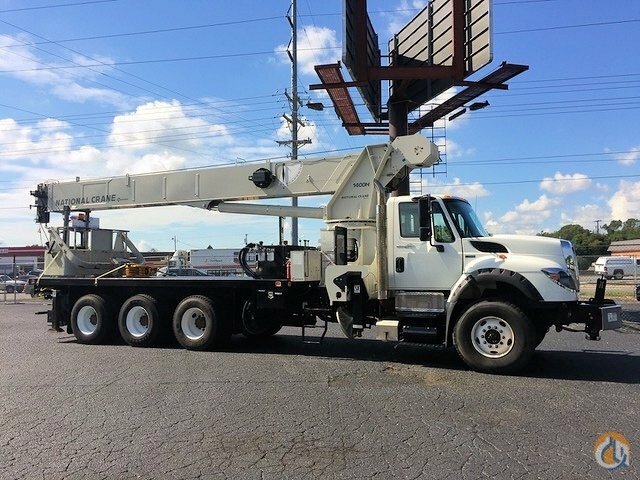 span, 375 degree non-continuous rotation, adjustable swing speed, self-lubricating " Easy Glide" wear pads, LMI system, internal anti-two block wiring, 2 man steel work basket, NB4R radio remote control; Mounted on a 2012 International 7600 tri-drive truck-73,000 lb. 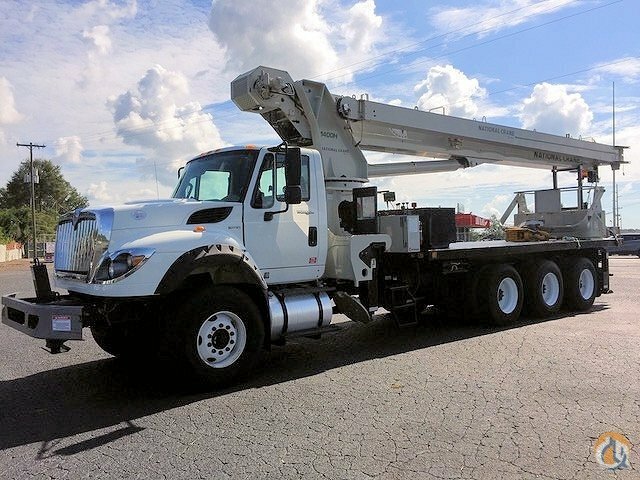 GVW, International Max force diesel engine-410 HP, Allison 4500 6 speed automatic transmission, air ride suspension, 22 ft. steel bed. 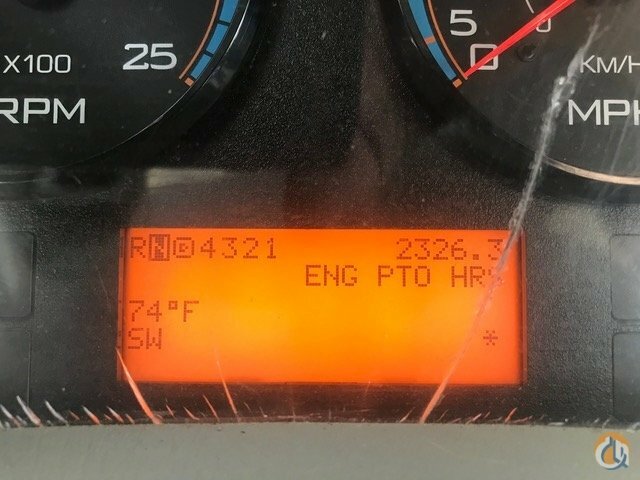 28,500 miles, 4,720 engine hours, & 2,327 PTO hours. 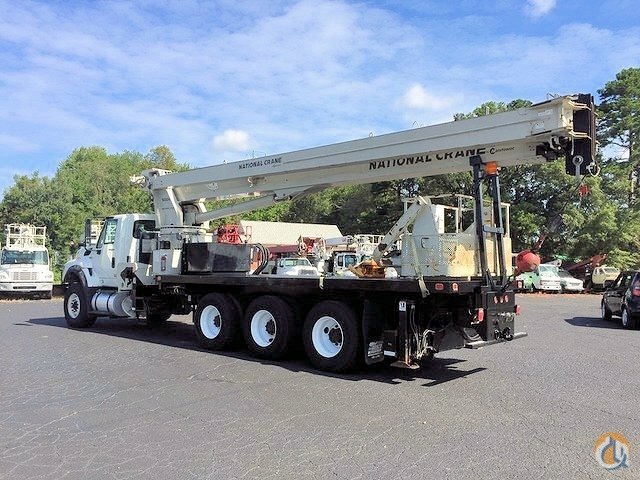 Very good condition with a current certification! 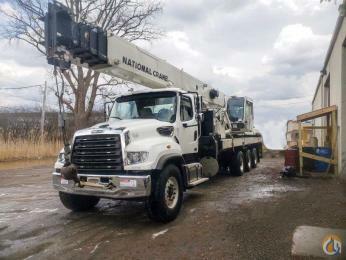 Boom/Jib: 127 ft. / 30 ft.